Accessibility Directorate provides information to individuals and organizations on what to expect and take action on to increase barriers to accessibility for Ontarians with disabilities under the Accessibility for Ontarians with Disabilities Act. AODA Alliance is a disability consumer advocacy group that works to support the full and effective implementation of accessibility standards in Ontario. ARCH Disability Law Centre is a specialty legal clinic that provides legal services to people with disabilities who live Ontario. Enabling Minds is a CMHA Ontario initiative that provides mental health accessibility training for anyone who works in the field of sports, fitness or recreation — especially those with a customer service role. 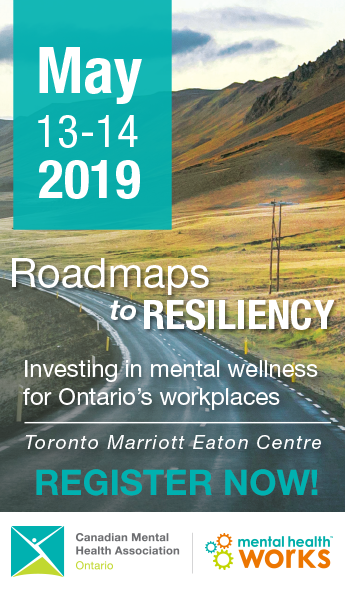 Mental Health Works is a national program of CMHA that builds capacity within workplaces to address issues related to accommodating employees with mental health conditions. Ontario Human Rights Commission provides information about disability rights and accommodation, and the responsibilities of persons with disabilities and employers, landlords, unions and service providers.